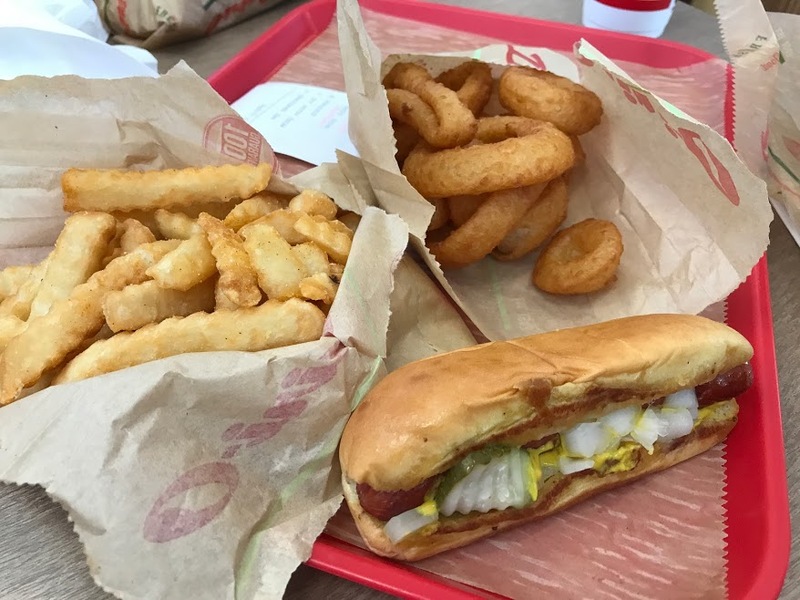 While visiting North Carolina, we ate nearly every meal out. I think we ate most of our breakfasts at home, and had leftovers one day for lunch. But every single dinner and most lunches were eaten at restaurants. But one of the cool things about our dining experience is that we ate every meal out at a locally-owned restaurant. I’m not opposed to chain restaurants, but it was fun to see what the local folks own in Winston-Salem. We had good food at restaurants such as Cloverdale Kitchen (at which we had our very best banana puddin’), and one night we had an amazing dinner at a steak house that was almost walking distance from Bruce’s house called Fratelli’s. 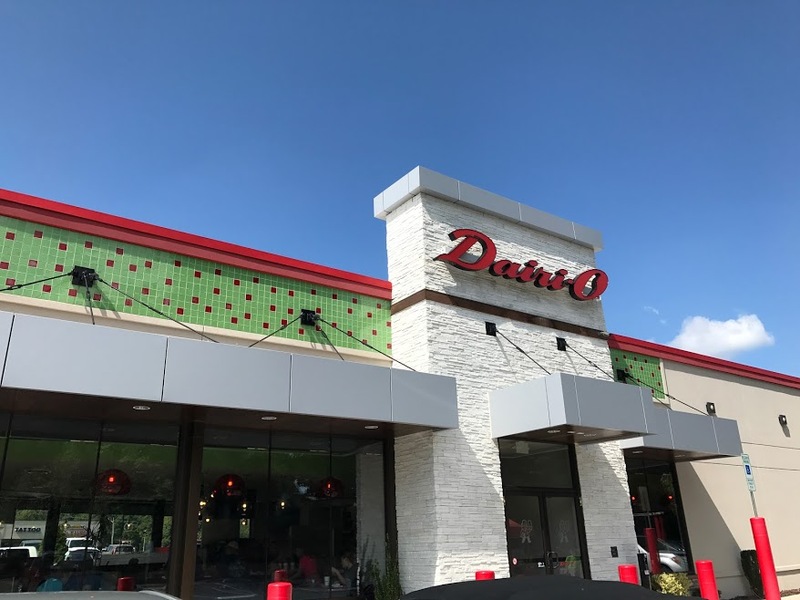 And then, of course, there was the Dairi-O, a locally-owned fast food restaurant….. The word came down from on-high earlier this week. The head apiarist — Dave, that is — said that the honey season is over and the bees are going to bed for the winter. 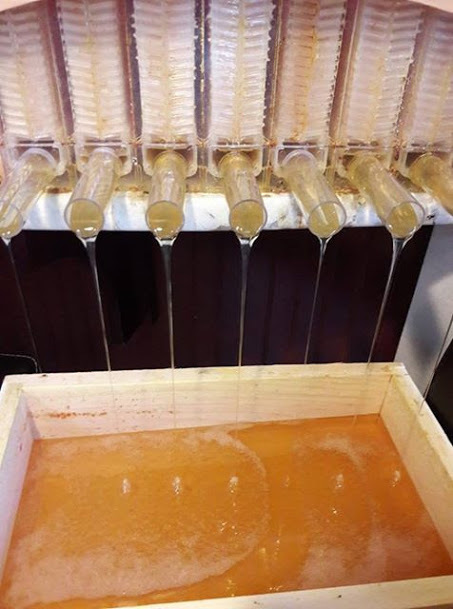 Any honey that was available was fed back to the bees in the hope that they will produce more next year. What this means is that there will be no D’s Bees Honey in 2017. Night-night, Bees….. The other thing going night-night for the season are my flower beds. 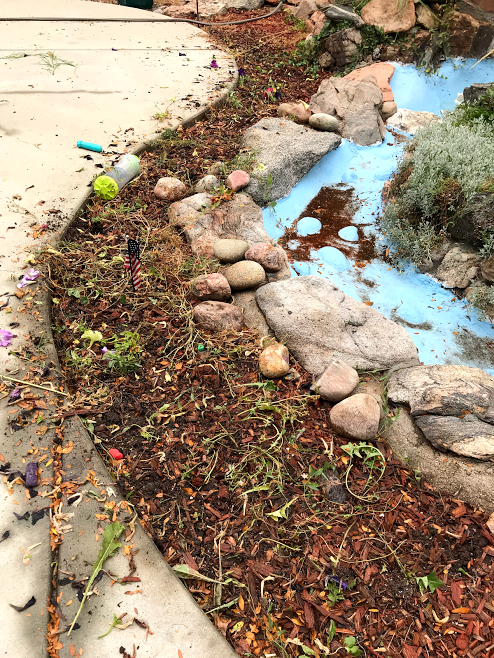 While I’ve still got a few tomatoes left on the vine (and the temps haven’t yet dropped below freezing), I pulled my annuals and tossed them away in the hope that they will be composted into next year’s fertilizer…..
Looks like the gardener could have been a bit neater. Sorry to hear about the bees. But they have learned a lot this year so 2018 should be fantastic!